so i gave faux roving a try about a week ago... forgot to take pics before it was in my head. haha. bad cell pics but you get the idea. i think it turned out okay. the only problem i had was the fleece shrinking and i had to keep restretching it to keep it long.so what do you guys think? Looks pretty good judging by the pics. can't help with the shrinkage though, perhaps cutting it on the bias would help? im not too worried about it though. i really do love how comfy and squishy it is. and i got the fleece on sale as walmart is closing out their fabric department. so it cost me a grand total of two dollars to make theese. hah. brillaint. if i can find my camera charger, i'll get some better pics up. im hopeless at not loosing everything i own. Fleece tends to not stay fully stretched out. i have noticed that if you cut thinner strips, the better they stay stretched out. Whenever i wear my fleece falls, I tend to stretch out all the strips before i wear them. i used 1/2 in to 1 in pieces and the thinner ones did stay streyched better now that you mention it, i tried using thicker pieces and i just felt it was too bulky for my taste. i felt like a stuffed animal. haha. You look dynamite! 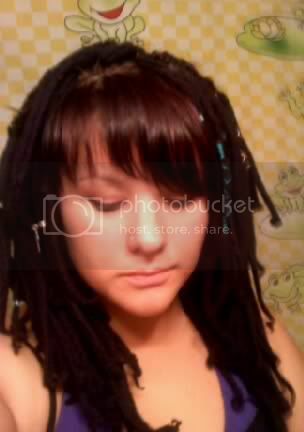 Dreads are the BEST look for you! 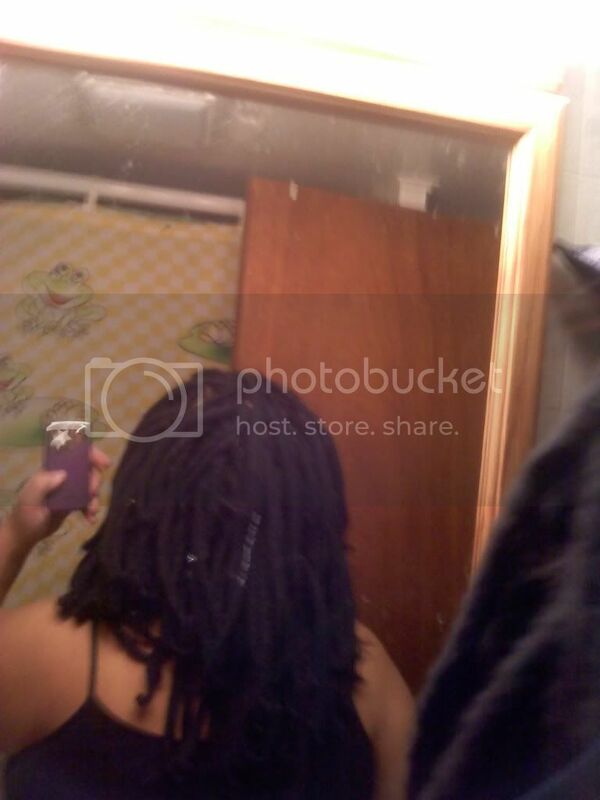 And these dreads rock. Well done!